9.7" iPad Pro certainly doesn't skimp on camera tech, but is this a new normal for iPads? 9.7″ iPad Pro certainly doesn’t skimp on camera tech, but is this a new normal for iPads? Apple’s best mobile cameras go into iPhones, not iPads, though a curious thing happened at today’s unveiling of a smaller 9.7-inch iPad Pro—both it and the iPhone 6s share a powerful Apple-designed camera subsystem which takes sharp snaps in twelve megapixels and shoots video in 4K. Even more curiously, the bigger 12.9-inch iPad Pro remains stuck with a previous-generation shooter even though that device was released barely six months ago. The decision to give the 9.7-inch iPad Pro virtually the same camera subsystem as the iPhone 6s is a welcome surprise which we hope kicks off a new trend for Apple. 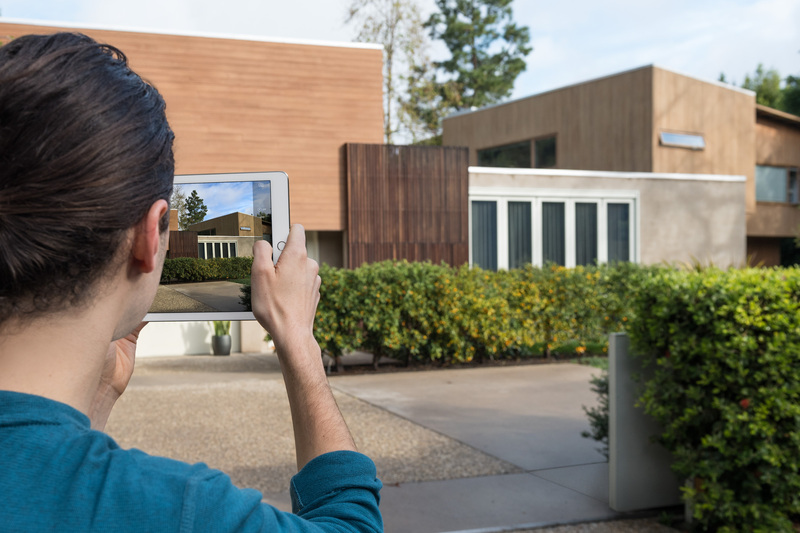 Thanks to Sony’s advanced CMOS sensor and an Apple-designed image single processor (embedded into the A9X chip) that provides better temporal and spatial noise reduction and third-generation local tone mapping, the new iPad Pro matches the iPhone 6s in nearly all facets of imaging features, at least on paper. In fact, check out Apple’s Tech Specs webpages for the iPhone 6s, iPhone SE and iPad Pro and you’ll notice that all three devices now share virtually the same imaging technology. In other words, put the new iPad Pro and iPhone SE on a laundry list of photography features that just a few months ago were exclusively to the iPhone 6s, including 4K video capture, Live Photos support and more. 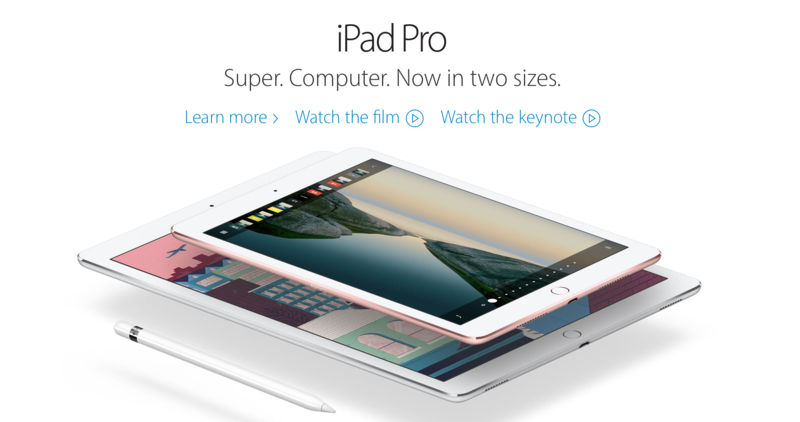 So, where does that leave the larger 12.9-inch iPad Pro model in terms of imaging? Though it supports HDR for photos, the camera subsystem does not analyze data to determine when to automatically turn the feature on. Even though both the iPhone 6s and iPad Pro were announced last fall, Apple most likely wanted to keep these camera enhancements exclusive to the phone for a few months. The differences between imaging features available on the two iPad Pro models get more pronounced when taking a closer look at the front-facing FaceTime camera. Having been neglected for years and stuck at a meager 1.2 megapixels, the FaceTime camera has at long last received a much-deserved boost with the iPhone 6s introduction. On the iPhone 6s, the front FaceTime HD camera has gone all the way up to five megapixels (hence the “HD” suffix) and gained Retina Flash, which uses hardware trickery to boost backlight three times the normal in order to better illuminate faces and deliver natural-looking skin tones when taking selfies in low-light situations. Again, while the newly introduced 9.7-inch iPad Pro is outfitted with an enhanced FaceTime camera, its bigger brother is surprisingly stuck with a sub-par, older one. Who’s surprised that auto HDR support for video capture via the rear iSight camera is non-existent on both iPad Pro models even though it’s available on the FaceTime camera. My guess is that the imaging subsystem cannot handle real time data from a two and a half times greater iSight camera resolution (12MP) versus the FaceTime one (5MP). This is yet another area where the new 9.7-inch iPad Pro benefits from having Apple’s latest camera and CPU technology. Put simply, owners of the new iPad Pro will get to enjoy the same advanced video capture and stabilization features like their iPhone 6s friends. Slo-mo video capture on the bigger iPad Pro is limited to 720p at 120 frames per second while the new device captures slow-motion video at twice as many frames in 720p mode. Additionally, the 9.7 incher captures Slo-mo in a full HD (1080p) 1,920-by-1,080 pixel resolution at 120 fames per second, which the 12.9 incher isn’t capable of doing. Furthermore, the 9.7-inch iPad Pro can capture 1080p footage at either 30 or a silky smooth 60 frames per second whereas its bigger brother limits 1080p video recording at 30 frames per second. And as mentioned before, the 9.7-inch iPad Pro also captures full 4K video in 3,840-by-2,160 resolution at 30 frames per second. Most important of all, the bigger iPad Pro lacks cinematic video stabilization (it only has less capable video image stabilization) for better stabilization of shaky footage. For the sake of discussion, we’re going to disregard the fact that the iPhone 6s Plus and iPhone 6 Plus remain the only two phones that can do continuous optical image stabilization during video capture. That’s hardly a deal killer. For starters, you most certainly won’t be carrying around a 12.9 or 9.7-inch slab of glass just for taking pictures. But if all you have is an iPad when a photo opportunity presents itself, it’s definitely nice knowing that your new 9.7-inch iPad Pro will be up to the task and produce nearly as good photos and videos as the iPhone 6s. Apple’s moves since the iPhone 6s came out strongly indicate that the company may have decided to consolidate its tablet and phone lineup in terms of specs, so that would-be buyers only need decide on the screen size, storage and color without needing to worry about hardware specifications such as the CPU, the camera subsystem and more. That’s not saying certain new features won’t remain exclusive to latest iPhones and iPads because that’s precisely how Apple works: they first introduce new technology in one device before eventually deploying it across the entire lineup. Driving my point further home, we saw this with Touch ID and before that with Siri. And now, history repeats itself with 3D Touch, an iPhone 6s-exclusive feature which will no doubt become standard on iPads devices in a year or two. 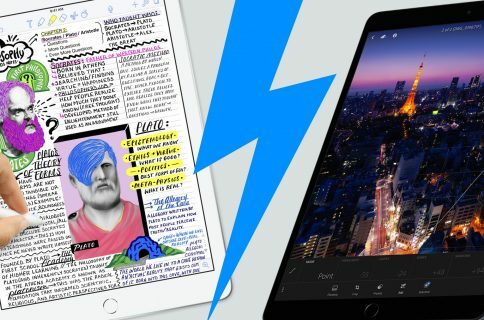 OK, let’s take a look at the imaging features you won’t be getting on the new iPad Pro, as contrasted with the iPhone 6s. If your only concern is top-notch photography, then yeah—it makes sense to buy the latest iPhone. But if you’re in the market for the latest and greatest iPad, you no longer have to make the kinds of compromises that you used to with previous iPads. Quite the contrary, for the first time ever buying a new iPad Pro will give you all of the camera features found on the iPhone 6s, sans the aforesaid features. It’s also cool that Apple’s new iPhone SE packs in exactly the same iSight camera technology like the iPhone 6s (with the exception of the FaceTime camera, which hasn’t been upgraded)—and that’s remarkable for a $399 contract-free phone that can be had for zero bucks if you sign a contract. 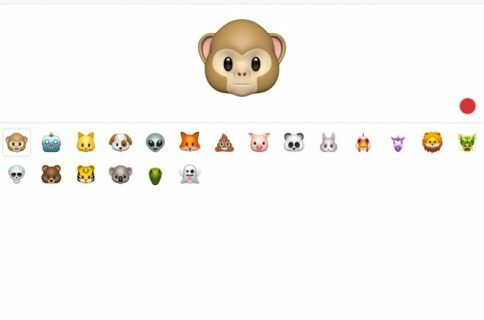 Is this the new direction for Apple? Coming from the complex of world of supply chain management, Tim Cook has probably smartly concluded that consolidating these minor (or are they?) hardware differences between iPads may not make much sense from an efficiency standpoint. If you argued that all of this might have something to do with the price, you’d (probably) half right. 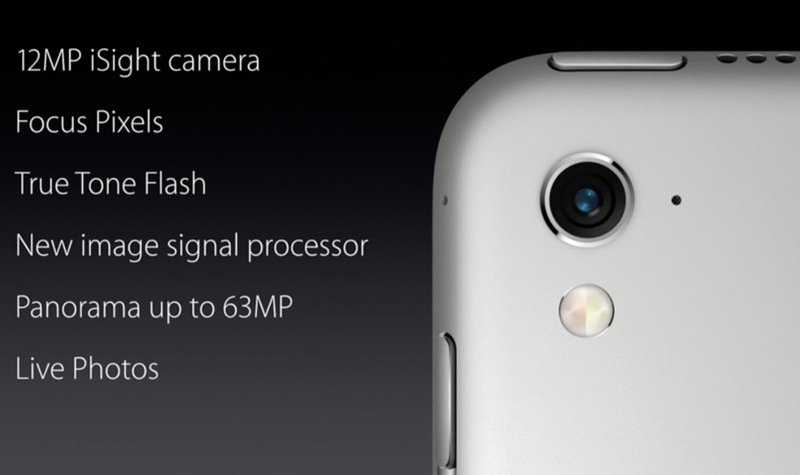 After all, that’s why the super inexpensive iPod touch skimps on features like the ambient light sensor. We’re only scratching the surface of what’s behind all this so your guess is as good as anyone’s. The big question is: is the new 9.7-inch iPad Pro a one-off experiment when it comes to the ”normalization” of imaging features across iOS devices or the new norm? Does any of this have anything to do with supply chain efficiency and cost optimization? Or was Apple’s decision to give the new tablet top-notch imaging features motivated by pragmatical considerations, like revitalizing iPad sales? If you ask me, we might soon see a silent refresh of the 12.9-inch iPad Pro to bring it on par with the 9.7 incher in terms of camera features (case in point: Apple went from the iPad 3 to the iPad 4 in a mere six months). I want to hear your thoughts, boys and girls, on all of this this so please do feel free to sound off in the comment section.